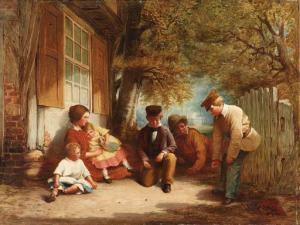 Find artworks, auction results, sale prices and pictures of John Lame Lomas at auctions worldwide. 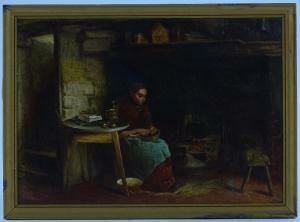 J L Lomas, oil on board, cottage interior scene, signed, 10.5'' x 14.5'', framed. 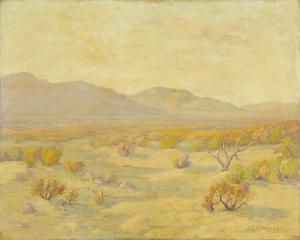 Southwestern landscape. Signed lower right J. O'Hagan. Oil on canvas, 24 x 30. Unframed. Black light reveals no restoration. 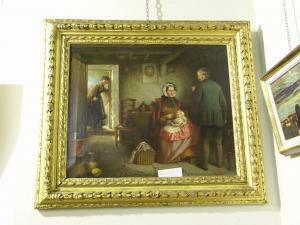 Original canvas. Moderate craqueleur especially to sky. Soiled varmish layer. John Lame Lomas - På Besök. Frost & Reed, Ltd., London (no. 33452).